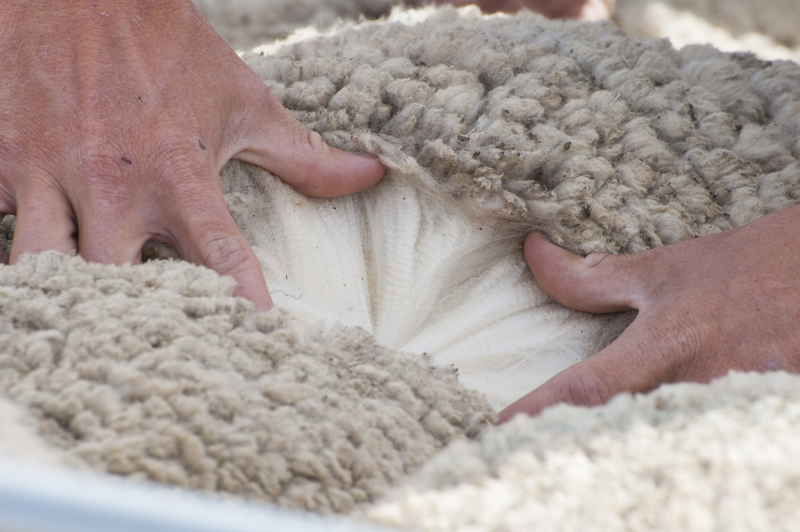 From a seller’s perspective, this wool market is almost surreal, it is a great time to be selling. However, this week buyers were wary and the market eased. Nothing dramatic but slightly cheaper none the less. 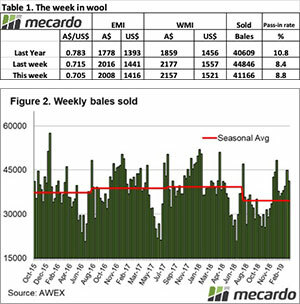 The wool producer’s response was to increase the pass-in rate; with prices at highest or near record levels, this seems curious, however, the risk associated in the seller’s eyes is minimal. Supply into the future will remain constrained. The Eastern Market Indicator (EMI) eased over the week, falling 8 cents by the end of the week to 2,008 cents. The Au$ was significantly weaker. As a result, the EMI in US$ terms was down 26 cents to end the week at 1,415 US cents (Table 1). In Fremantle, the Western Market Indicator (WMI) had corrected late last week and pushed even lower this week with a further 20 cents fall to at 2,157 cents. 45,130 bales were offered for sale this week, with the trade clearing 41,166. This is 3,680 less than last week, a sign of confidence from seller’s in the market moving ahead. 8.8% or 3,964 bales passed in. In the auction weeks since the winter recess, 984,703 bales have been cleared to the trade, 190,094 fewer than the same period last year. The average shortfall cleared to the trade compared to the same time last year now sits at 6,789 bales per week fewer. The dollar value for the week was an impressive $87.99 million, for a combined value of $2.33 billion so far this season. A simple calculation of $ value divided by bales sold gives us $2,196 per bale across all types. Crossbred types were mostly up 10 to 30 cents, though 30 MPG were cheaper of last weeks record levels. According to the AWEX roster, the next week an offering of 41,722 bales is predicted. The roster currently tips a drop with 37,630 and 37,560 bales rostered for the next two weeks. It is difficult not to be confident going forward, any easing of the market will be met by reduced selling by growers. With supply tight this woud pose a problem for exporters and their mill customers.